Tender duck meatballs make this signature dish ($20). A classic dish with a clever twist, in a most charming Ballard setting ($21). Happiness in a bowl: a tangle of noodles and silky pork bone broth ($11.25). Crisp, cold soup filled with chewy buckwheat noodles and sharp pickles ($12). Tomato sauce and béchamel get between the pasta sheets in this essential dish ($23). A decadent side with all the flavor and none of the cheese ($12). 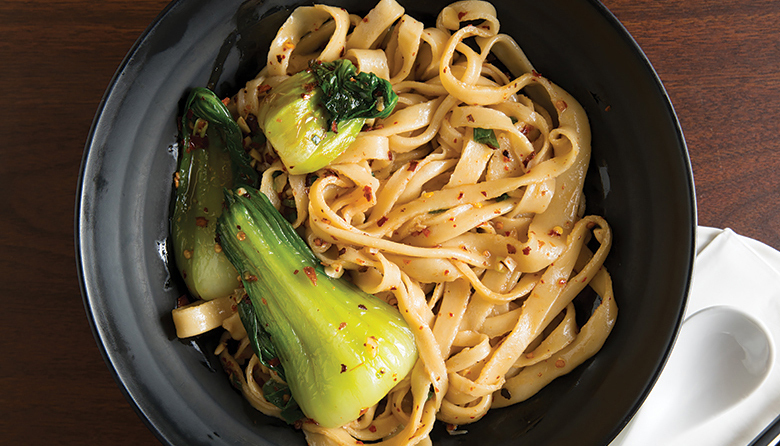 Simple preparation lets these handmade noodles sing ($7.99). Fresh egg pasta with butter and sage, also available with ragu ($26 for large plate).